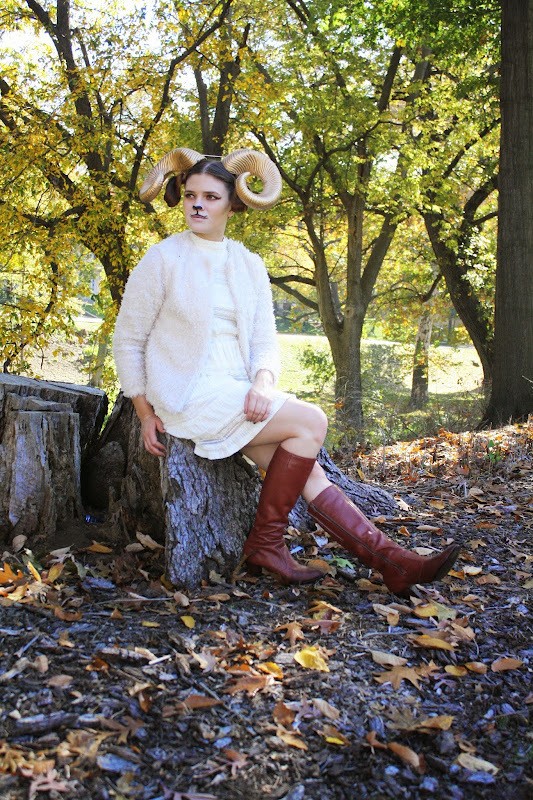 This quick, easy costume came about by happenstance. My boyfriend saw these horns at Target awhile back and thought they were too cool to pass up. 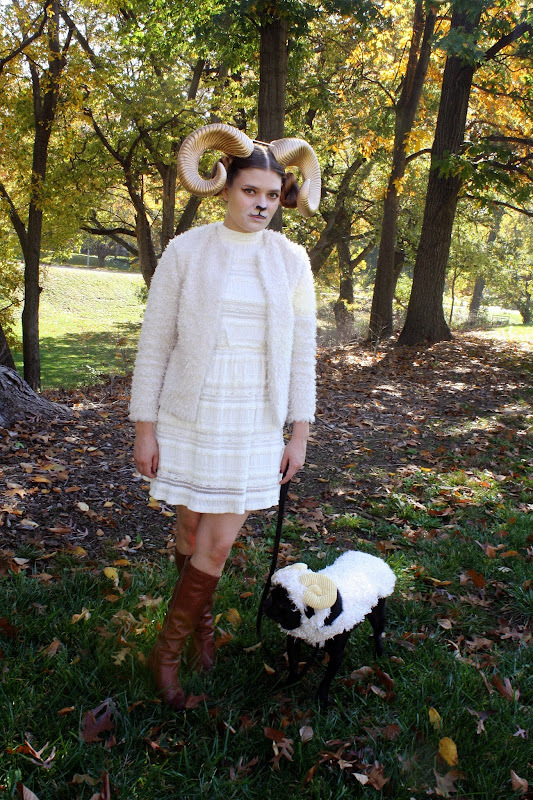 I jokingly tried them and then remembered that Igby had a ram costume from last year. 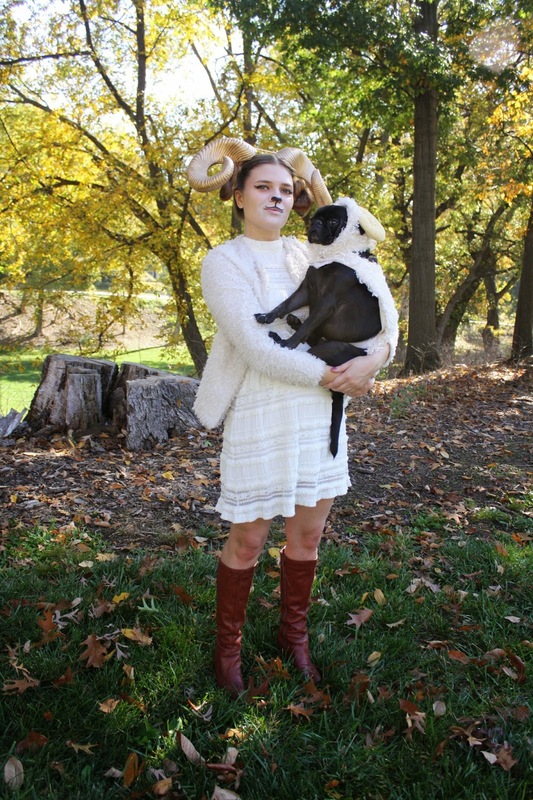 A fuzzy white jacket and a bit of makeup later, and my pup and I had matching costumes!